When it comes to Plumbing Re-routes, Leak Detection and Plumbing Repair, no one compares to R.E. Glenn Plumbing. With years of combined experience, R.E. 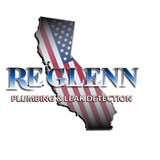 Glenn Plumbing has worked hard to build the trust of our clients in San Diego, Chula Vista and Oceanside and beyond. Visit our website to learn more. Or better yet, click the link and call us today! When your plumbing system is acting up, count on the Chula Vista plumbers at Above and Beyond Drains & Plumbing. The full-service company handles all types of plumbing system from residential to property management and commercial locations. With over 28 years of experience, their licensed and certified plumbers offer superior workmanship in drain cleaning, toilet plumbing, leak detection and repair, repiping services, sewer and water line repair, camera inspections, shower and tub installations, and more. Their team is also known for their professionalism and dedication to going above and beyond customer service. 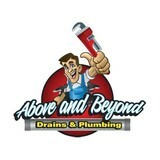 At Above and Beyond Drains & Plumbing, they simply love what they do and take pride in their work. Call now to schedule a free, detailed estimate on any of your plumbing needs. Their services are available 24 hours a day, 7 days a week. 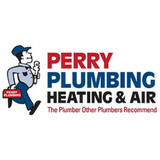 Perry Plumbing Heating & Air was founded in 1977 and are the plumbers that other plumbers recommend. We are here to help you with all of your plumbing and HVAC needs 24/7. Contact us today to help with your plumbing repair and installation needs! Combining years of experience with a dedication to client satisfaction, Danon's Plumbing & Drain has established itself as the local leader in Plumbing, Water Heaters and Emergency Plumbing. When it comes to Plumbing, Water Heaters and Emergency Plumbing, no one compares to Danon's Plumbing & Drain. With years of combined experience, Danon's Plumbing & Drain has worked hard to build the trust of our clients in Kensington, La Jolla, Pacific Beach, and beyond. Visit our website to learn more. Or better yet, click the link and call us today! Whenever you hire Resurrection Plumbing to take care of your plumbing repairs – no matter how big or how small the job is– you can be confident that we’ll do the job right the first time. Our licensed and trained technicians take pride in the work they perform for each and every customer. We work in a timely, efficient manner while still attending to even the smallest details, so that each job meets our highest standards of excellence when completed. We’re confident that you’ll be impressed with the expertise of our technicians and the care that they put into each job. Resurrection Plumbing is a full-service plumbing company in San Diego. We handle everything from simple plumbing repairs to full bathroom remodels. There is nothing that we can’t do. If you have any questions about specialized services, do not hesitate to give us a call, and we can provide you with a custom estimate. 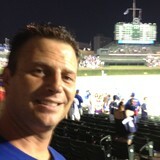 If you want a plumber that specializes in residential plumbing services, Tom DiNardo Plumbing, Inc. is the way to go. At Tom DiNardo Plumbing, we value home ownership and provide our customers our best for all when it comes to San Diego plumber services. With over fifteen years of experience as a local San Diego plumber, Tom DiNardo has created his plumbing company based on the satisfaction of its customers. Benefits of Choosing Tom DiNardo Plumbing as your local San Diego Plumber? Benefits of Choosing Tom DiNardo Plumbing as your local San Diego Plumber? Aside from putting customer satisfaction as a top priority, there are many other benefits that you will experience when you call Tom DiNardo Plumbing, including: -Quality parts for every job we do. -A promise to be on time (or it's free up to $90.00). -Expert technicians who are highly trained for their trade. -24/7 phone reception by a real person. -Service that is focused on residential plumbing customers, giving you the most precise job. -An A+ rating with the BBB. -Fully stocked trucks to save you time and money. -Respectful technicians who leave your home just as clean as they found it. -The peace of mind knowing that your needs are being taken care of by local San Diego plumber that knows how to do the job right! At Sitko Services the El Cajon plumbers call on more than a decade of experience to solve plumbing problems others have not been able to fix. Boasting several awards and recognitions from Home Advisor, the Sitko Services plumbers wants every experience with them to be pleasant and hassle-free, and have a 100% customer satisfaction guarantee. The plumbers are uniformed, licensed, bonded, and insured, and pride themselves on leaving homes clean and orderly. They follow transparent, ethical business practices, and treat every job as if it was being done in their own homes. Sitko Services offers free estimates and 24-hour emergency services, and is always willing to accommodate clients’ work schedules. Family Owned & Operated Since 2001. John and Mary, the owners take enormous pride in honest, reliable and trustworthy plumbing service. Providing services to residential, industrial and commercial. There's no reason to trust your plumbing to anyone else. At Joyce Plumbing we are eager to give you the highest-quality service, offering top-notch craftsmanship, prompt response and project completion, and great prices. We are able to adapt to customers' unique needs for their complete satisfaction as we provide reliable plumbing in San Diego and surrounding areas. Call today for the best plumbing San Diego has have to offer! Nu Flow manufactures and installs innovative green technologies to rehabilitate the inner infrastructure of deteriorated or failing water piping systems using an array of cured-in-place epoxy pipe lining solutions. Our 80-plus years of national experience, combined with our local knowledge and understanding of the San Diego market, give us the resources and know-how to provide you with 24/7 emergency plumbing, sewer, drain and water restoration services with iron-clad guarantees that the work will be done right. We are committed to keeping San Diego healthy by providing all of your water service needs. Call on the original Roto-Rooter today. Serving the San Diego residents since 1982, The Plumbing Store Service has the experience and the wherewithal to take care of all your needs. We offer a variety of plumbing services throughout San Diego County. From minor in home repairs, to major slab leak and renovations, we are your choice for professional and reasonable priced plumbing services. Being in business for 30 years has allowed us to build our business through referrals.